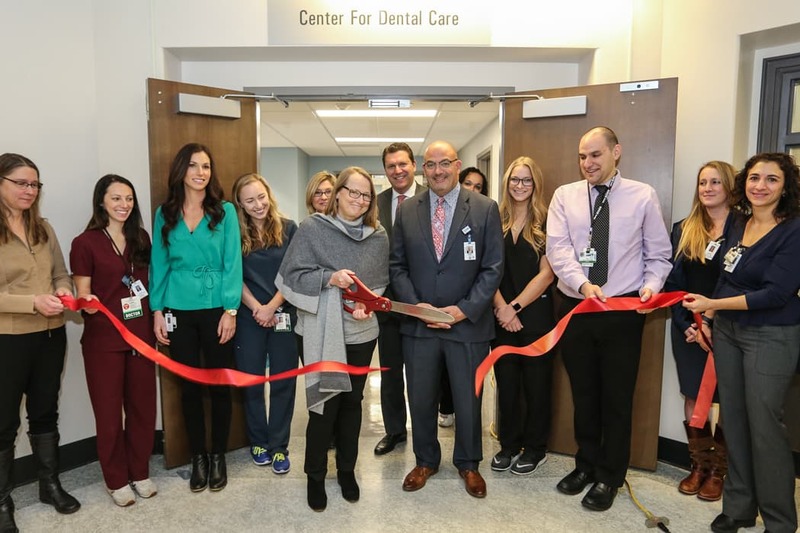 BUFFALO – Erie County Medical Center Corporation (ECMCC) and Kaleida Health today celebrated the opening of the ECMC Center for Dental Care at Buffalo General Medical Center (BGMC). 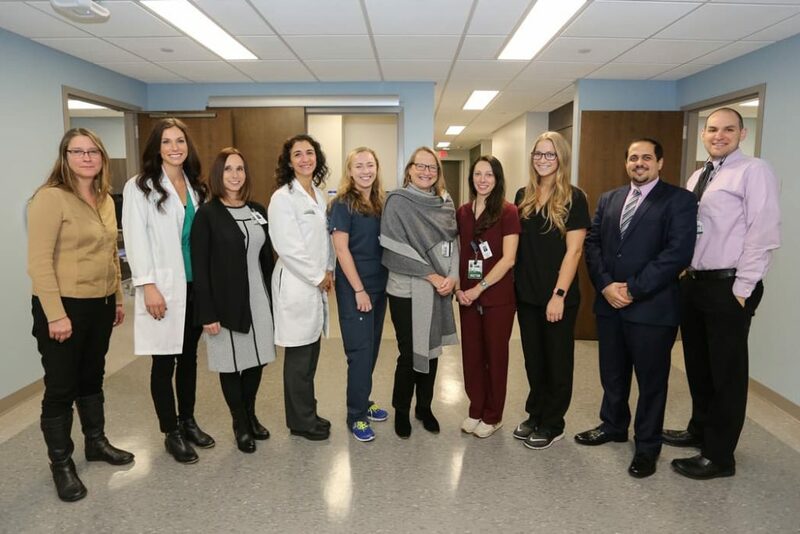 The new center, operated by clinicians from ECMC’s Department of Dentistry’s Division of Outpatient General Dentistry, is another collaborative effort between both healthcare organizations under the Great Lakes Health Care of Western New York initiative. In February, ECMCC and Kaleida Health submitted a Certificate of Need (CON) to the New York State Department of Health for the new center; the CON was approved by NYS DOH in October. ECMC’s Department of Dentistry’s Division of Outpatient General Dentistry provides general (primary) dental health services for adults and their families who are covered by all forms of dental insurance including Medicaid, Medicare, FAP and DFAP. The Division is the only large accredited hospital-based dental residency program in Western New York. Identical to ECMC’s existing outpatient general dentistry clinic, this new Center for Dental Care provides residents in BGMC’s primary service area with access to dental care regardless of their insurance coverage including “straight” Medicaid, Medicaid managed care, FAP, DFAP and self-pay. A primary goal for the center is to reduce the number of patients seen at BGMC’s Emergency Department for dental infections (i.e., avoidable emergency room visits). Also, for patients who do not have a primary care physician, the professional staff at the center will facilitate patient referrals to medical health homes or medical community care providers. In addition, ECMC’s Center for Dental Care provides dental treatment for patients referred from Kaleida Health’s hospitals; emergency departments and clears patients for cardiac and vascular surgery, provides dental clearances for patients initiating antineoplastic therapies such as chemotherapy and radiation, and provides dental services to patients at Kaleida Health’s craniofacial center. ABOUT ERIE COUNTY MEDICAL CENTER (ECMC) CORPORATION: The ECMC Corporation includes an advanced academic medical center (ECMC) with 573 inpatient beds, on- and off-campus health centers, more than 30 outpatient specialty care services and Terrace View, a 390-bed long-term care facility. ECMC is a Level 1 Adult Trauma Center, a regional center for burn care, behavioral health services, transplantation, medical oncology and head & neck cancer care, rehabilitation and a major teaching facility for the University at Buffalo. Most ECMC physicians, dentists and pharmacists are dedicated faculty members of the university and/or members of a private practice plan. More Western New York residents are choosing ECMC for exceptional patient care and patient experiences – the difference between healthcare and true care™. ABOUT KALEIDA HEALTH: Kaleida Health is the largest health care provider and largest private employer (10,000 employees) in Western New York. More than one million patient visits are recorded annually at the Buffalo General Medical Center, DeGraff Memorial Hospital, Gates Vascular Institute, Millard Fillmore Suburban Hospital, Women and Children’s Hospital of Buffalo, plus the health system’s 90 clinics and health care centers. Kaleida Health operates HighPointe on Michigan and the DeGraff Memorial Hospital skilled nursing facility, plus the nation’s oldest – and original – Visiting Nursing Association. Kaleida Health also operates a major laboratory division as well as the Millard Fillmore Ambulatory Surgery Center. The organization is also affiliated with Great Lakes Health, the entity integrating Kaleida Health, Erie County Medical Center (ECMC) Corporation and the University at Buffalo. Kaleida Health’s economic impact on Western New York exceeds $2.2 billion annually.